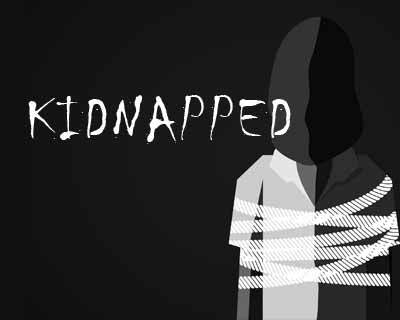 Uttar Pradesh: Reports are coming of a second year being student kidnapped from the districts of Bareilly. The student identified as Anurag Singh, a student of Bachelor of Ayurvedic Medicine and Surgery (BAMS) was going back home from Gangasheel Ayurvedic Medical College & Hospital in Bareilly on April 30, when he was allegedly kidnapped. The family confirmed that the kidnappers have demanded Rs 1 crore as ransom. Only after receiving a call from an unknown number, the father of the student,,Dr Hakim Singh,a Unani practitioner, reported the ransom call as a case of kidnapping. The kidnapper demanded a sum of Rs 1 crore for releasing his son. The money was to be exchanged by May 5. These facts were confirmed by DIG, Bareilly Range, Ashutosh Kumar. However, there has been no more ransom calls after the first ring. After which the student’s father registered an FIR at the city police station. Police is also now reported to have the last traced location of the mobile from which the ransom call was made in Punjab. When he did not reach home, Dr Singh reached Anurag’s college the next day and met the college authorities inquiring about his son, the SHO told the Express. He was searching for his son when he received the ransom call on Monday. Investigations are on to see if any family acquaintance was involved in Anurag’s kidnapping, police officials said. The police in addition implied that the student’s call records also highlight the fact that the student (kidnapped) mobile was also used to make a call to the kidnapper’s number. The initial investigations reveal that the kidnapper was in touch with the student and aware of his whereabouts. Since calls were exchanges from his phone and the kidnapper’s phone, it seems they were also in touch. Also, police at the moment is waiting for a further trace of the cellphone location, or another ransom call, since the phone has been switched off since the first and only ransom call made.